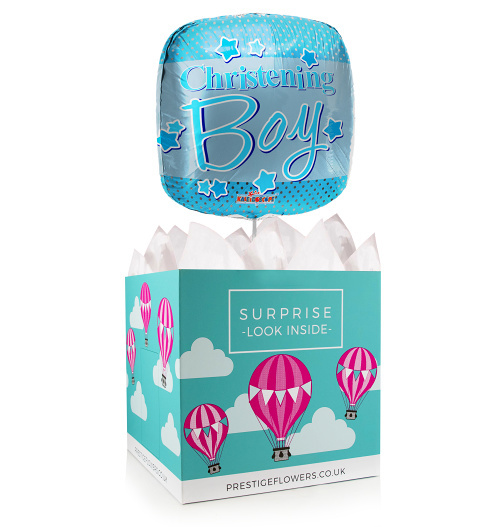 Celebrate the Christening of a new baby boy with this gorgeous 18-inch helium balloon and gift box lined with tissue paper. You can also add something extra for baby, like a cuddly bear, or perhaps chocolates or wine for the proud parents. Include a personal message for mum and dad to treasure and eventually pass on once baby is all grown up.